It is time to bring in a nationwide ban on parking on pavements. I am supporting a call by four national organisations to ban pavement parking. Over Christmas, as throughout the year, pavements around this town and many others have been partially or totally blocked by cars and vans. Yet the roads alongside the pavements have had plenty of room for parking and in most cases, there has not been a parking restriction in sight. This is selfish parking by motorists who seem to have forgotten that pavements are for pedestrians, children on cycles, people in wheelchairs and on mobility scooters, and parents pushing children in buggies. Pavement users face being forced out into the road because some inconsiderate drivers think that it is better to block the pavement than use a road designed for vehicles to park on. There has been hope before that the ban on pavement parking would be extended nationwide. It is currently restricted to London. In 2015, Simon Hoare MP presented a private members bill to parliament aiming to bring in a nationwide ban. He withdrew the bill after the government promised a review of current parking legislation and how best to change it. Nothing happened and any hope that the government might progress faded with the appointment of Chris Grayling as transport secretary. Mr Grayling seems to be a dedicated petrolhead and building more roads and bigger roads is his main priority. The promised review was downgraded to a survey of traffic regulation orders (TROs). This inaction has led to four very different national organisations demanding action. Living Streets, Guide Dogs, the British Parking Association and the Local Government Association (LGA) have written to transport minister Jesse Norman MP urging him to prohibit pavement parking across England and Wales. Their joint letter highlights the danger that pavement parking poses to vulnerable pedestrians. I agree with all of that. It is time to reclaim our pavements from thoughtless car and van drivers. I would welcome the extension of the laws that apply in London to the rest of the country. Of course, we don’t really need legislation to achieve this. But I despair of changing the attitude of motorists who won’t park on the road because they are concerned about impeding traffic flow. They don’t seem to give a thought to the mobility and safety of pedestrians and vulnerable people who use pavements.
. Some Ludlow residents may have met Simon when he came to the town to promote the Rocks Green supermarket. That was before he was selected to be Conservative MP for North Dorset.
. 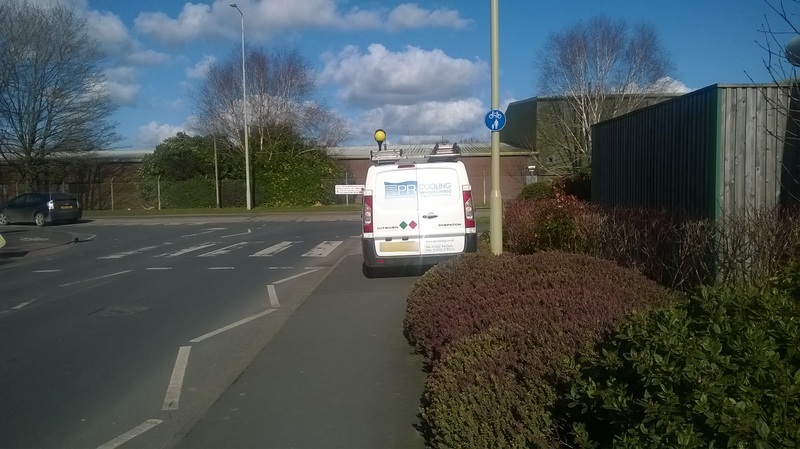 It is a criminal offence for motorists to drive onto the pavement but not, it seems, to park there in most instances. Goods vehicles with an operating weight exceeding 7.5 tonnes are prohibited from parking on verges and footpaths. More information from the House of Commons Library. Sorry Andy, the harsh truth is weak councils at local and county level barely functioning or making any difference to anything, let alone parking. Procrastination and lack of determination characterises the lack of action on traffic control in the town centre on parking round the square and re ‘blue badge abusers”, why would we expect dynamic and effective action in other outer areas. Expecting a government barely able to deliver Brexit to take action on parking does not represent anything but your believing in Father Xmas. And let us not forget that our population will be ageing for a good few years yet, while young Mums with baby buggies should not be forced to push their wee ones out into the traffic. And in our part of Shropshire, along Much Wenlock’s Stretton Road, the lorries have long had to use our pavements just to get past each other. Yes I think it would be excellent to ban all parking on pavements. There are some streets in Ludlow, however, where there are no marked parking restrictions but where vehicles do park with two wheels I on pavements in order to allow cars to pass on the road. In addition, how would a ban be enforced? Traffic and parking are thorny issues already and additional unenforceable regulations could run the risk of even more discontent and even fewer convictions. 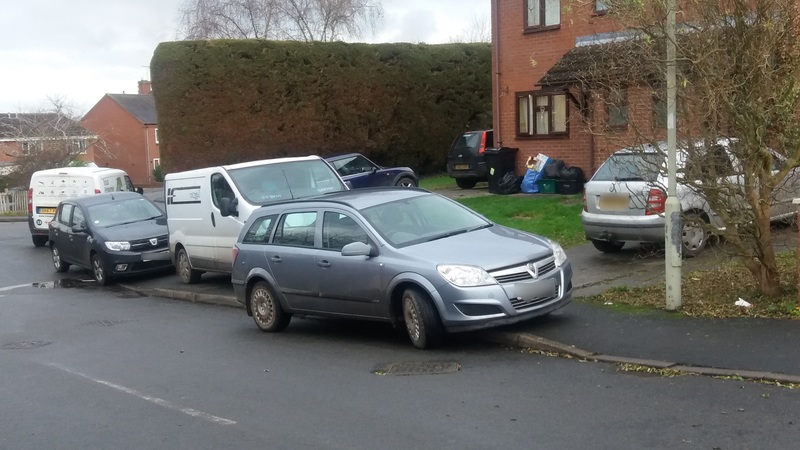 Surely there are bigger, unanswered questions.. to not deal with those first, and instead raise such unsolvable issues as parking, shows a lack of understanding of the unforgivable situation Ludlow is in. Is it possible you could expand on your comment about “the unforgivable situation that Ludlow is in”. Has there been a disaster we haven’t heard about? really not sure what is being referred to here. Shropshire Council, whilst pleading poverty and drastically cutting services – thereby forcing Ludlow Council to pay for those services – have found the money to buy, without explanation or justification, three shopping centres in Shrewsbury. They also want to spend 18 million on Shirehall. In a nutshell, ludlow will be paying, via increased taxes, for this expenditure, whilst receiving less services from SC., whilst continually hearing from its Councillors that there is no money. Seems like a situation to me. Agree with your above comments but as far as I am aware Ludlow Town Council is yet to pay for any services passed over from Shropshire council. I was always taught to look after the pennies and the pounds would look after themselves. Ludlow has for a long time failed to address the small everyday things which aren’t right and can become extremely annoying over time. I can assure you that when people park about 8 inches from your front door it does become an important issue. Is parking more important than what I’ve highlighted then? LTC hasn’t, as yet,spent money on the services it is being blackmailed to take on, as it is ensuring that it the right thing to do financially – due dilligence. As you say, look after the pennies.. but they are our pennies. Are they being looked after, do you think? Parking is an issue, always has been, and one that cannot be solved by legislation alone. But when that issue is raised in an attempt to deflect attention from questions that, in the current climate more than ever, need concise answers – that’s what I feel is unforgivable. Yes 8inches, we were daft enough to measure it! Parking is not more important than the issues you raise but this started as a blog about parking on pavements. I don’t think either Council spends our money well, as for due diligence I’m not sure that you raise the council precept by a large amount before you have figures to justify it. ( what has happened to that extra money.) As for blackmail from Shropshire council, just say no. I hope that parking isn’t a regular occurrence for you, it’s unforgivable. My reasons for posting on here about finances is to highlight the issues that are going unanswered – in no way do I want to detract from the very real problem of parking in our town. As for the raising of LTCs precept, whilst not wishing to defend them, it was a question of timing – there was a real threat of these services being transferred before they had the money to pay for them. Say no? I hope they do. There is too much silence, on both sides. Here is a possible solution: Heavy fines for anyone parking a car on the road whilst they have an empty drive/garage at their house. Expensive resident parking permits for those who own a car, but bought a house without a drive/garage to park it. Finally, any vehicle found parking on any pavement is immediately confiscated, crushed and melted: no excuses, no exceptions. Of course all of these would require actual enforcement, of which there is zero in Ludlow. Maybe the council could reduce their focus on operating shopping malls in Shrewsbury and spend some money on things that benefit the residents of Shropshire? Weird expectation of a council, I admit, but it might work.